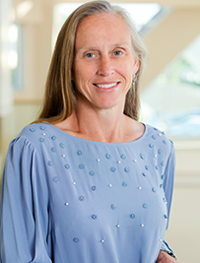 Susan R. Murphy, M.D. is Board Certified in Internal Medicine. She graduated with distinction with a doctorate of medicine from the University of Kentucky in Lexington, Kentucky in 1993. She completed her post-graduate training in the Department of Internal Medicine at St. Vincent Hospital in Indianapolis. Dr. Murphy joined the Johnson Memorial Internal Medicine Specialists in May 2017. For an appointment: Visit Johnson Memorial Internal Medicine Specialists or call 317.346.3883. She also sees patients at the Stones Crossing Health Pavilion, Suite 202.